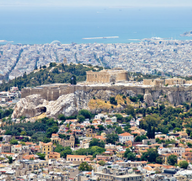 Athens has been named World Book Capital 2018 by the director general of UNESCO, Irina Bokova. The Greek capital was chosen on the recommendation of an advisory committee, comprising representatives of the IPA, the International Federation of Library Associations and Institutions (IFLA), and UNESCO, based on the “outstanding quality” of its programme of activities for the book trade in Greece. Every year, the city named World Book Capital commits to promote books and reading and to implement a programme of activities for one year, starting on World Book and Copyright Day, on 23rd April. The purpose of 2018’s initiative is to make books and reading accessible to the whole population, including to migrants and refugees. Athens’ “proven expertise in organising international events” was also a factor, alongside its “cultural infrastructure”, in selection. During its tenure as World Book Capital it will organise meetings with authors, translators and illustrators, as well as concerts, themed exhibitions, poetry readings and workshops for publishing professionals. Athens is the 18th city to be named World Book Capital, after Madrid (2001); Alexandria (2002); New Delhi (2003); Antwerp (2004); Montreal (2005); Turin (2006); Bogota (2007); Amsterdam (2008); Beirut (2009); Ljubljana (2010); Buenos Aires (2011); Yerevan (2012); Bangkok (2013); Port Harcourt (2014); Incheon (2015); Wroclaw (2016); and Conakry (2017).